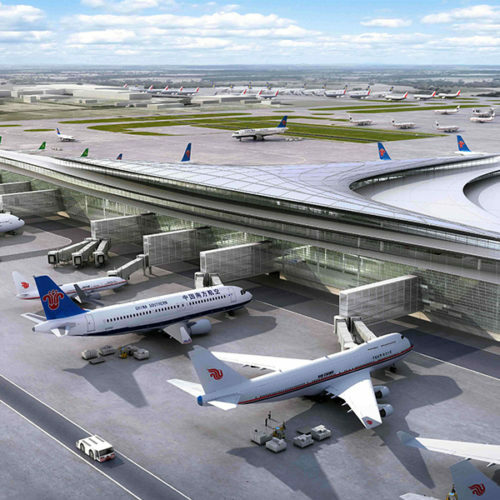 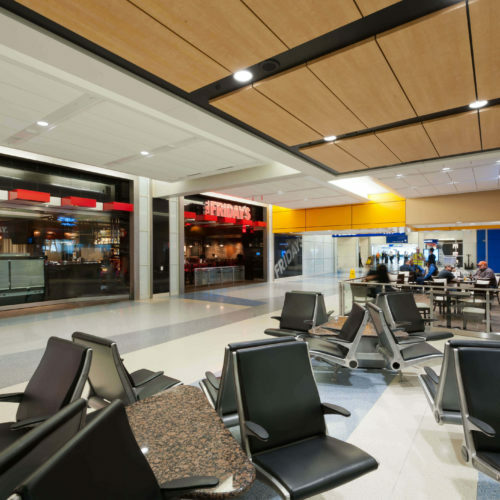 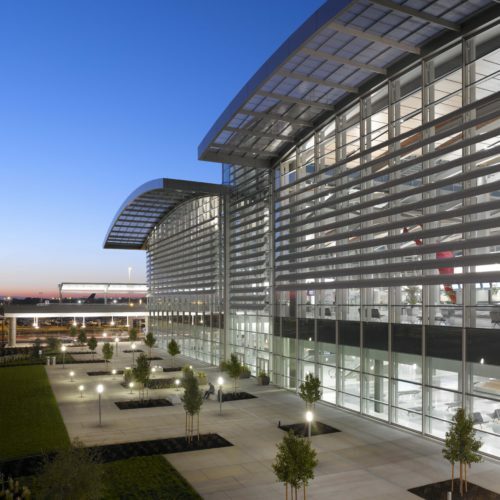 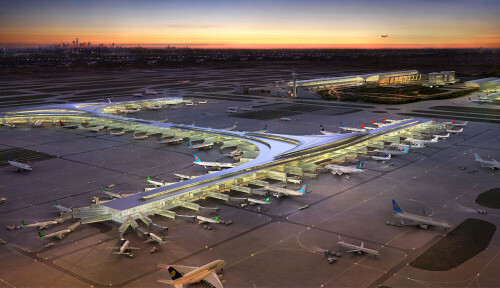 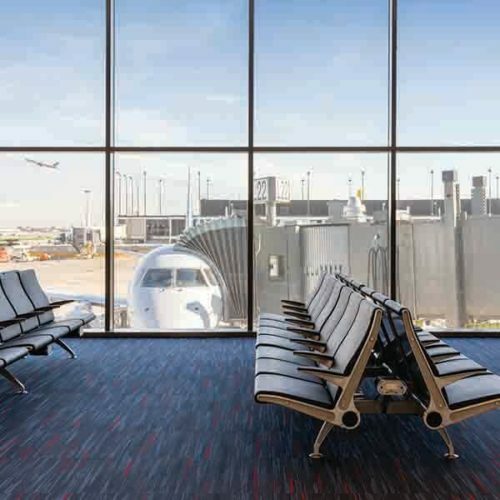 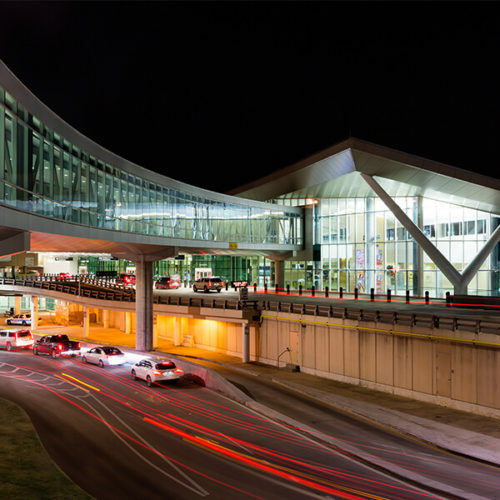 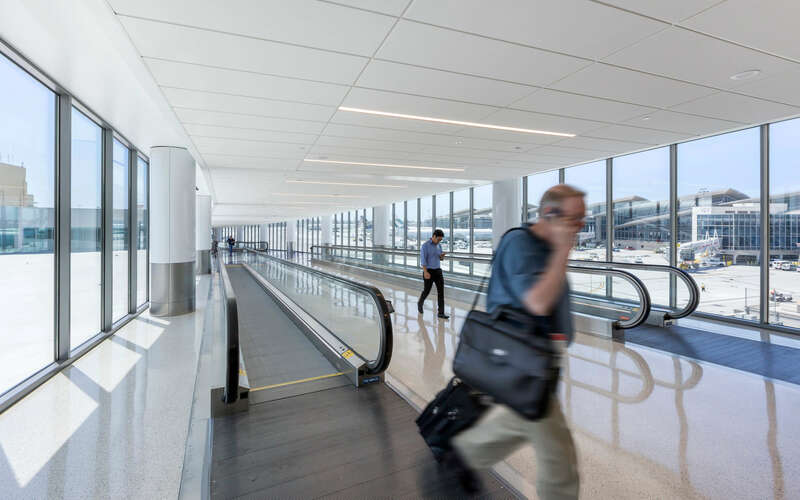 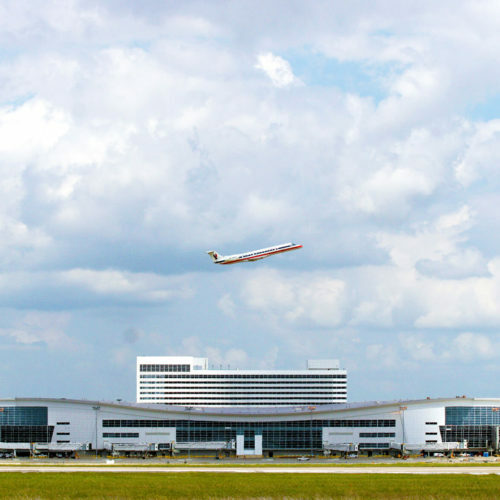 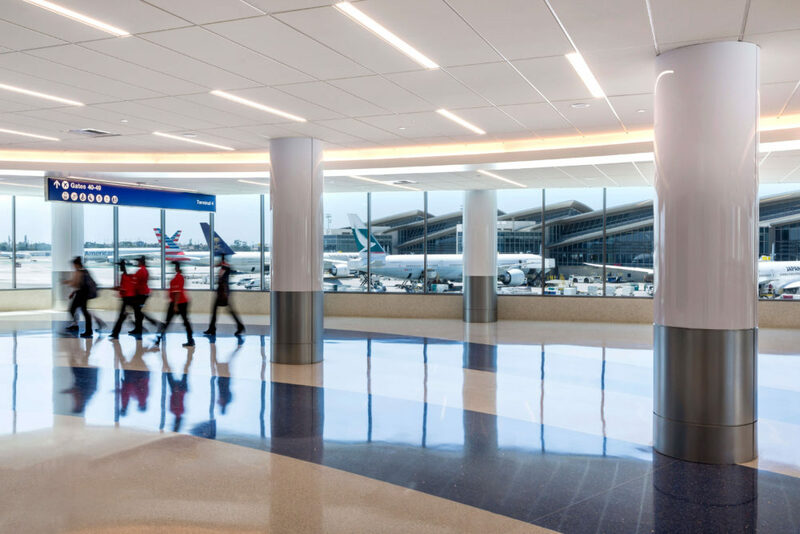 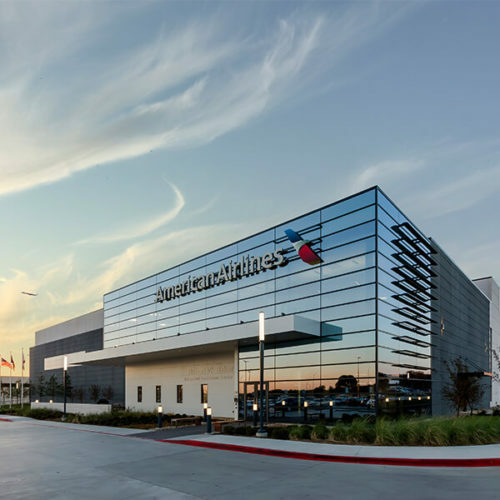 Corgan teamed with Turner Construction to deliver the Bradley West - Terminal 4 Connector within a design-build project delivery method. 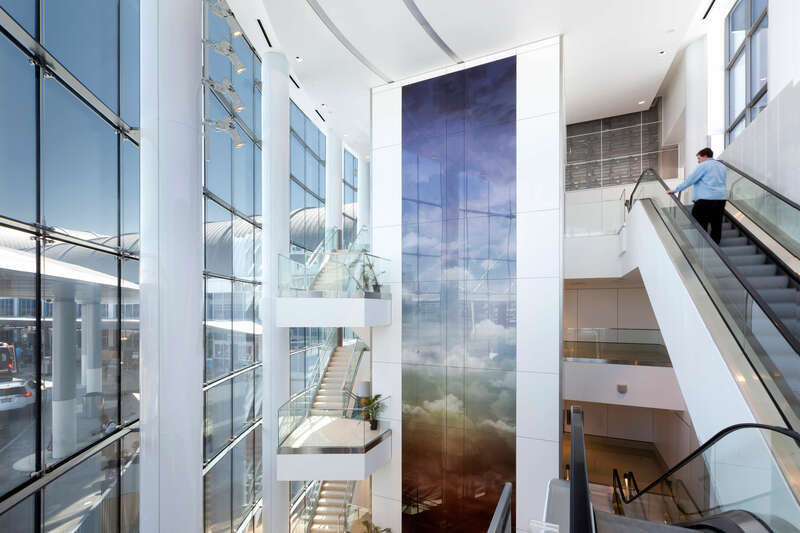 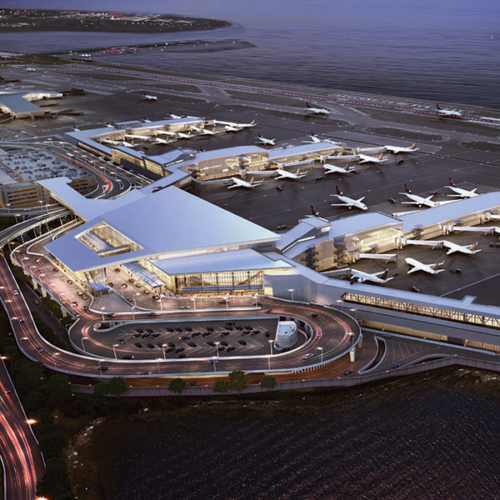 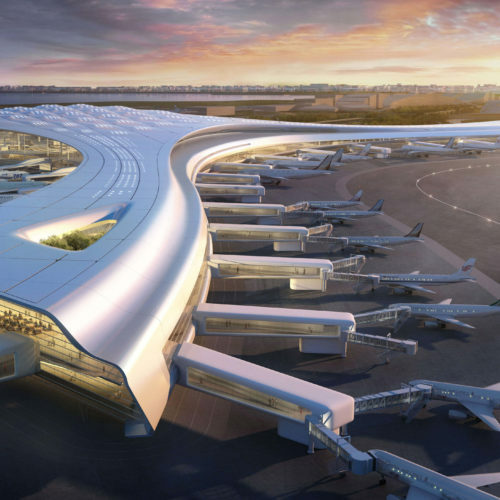 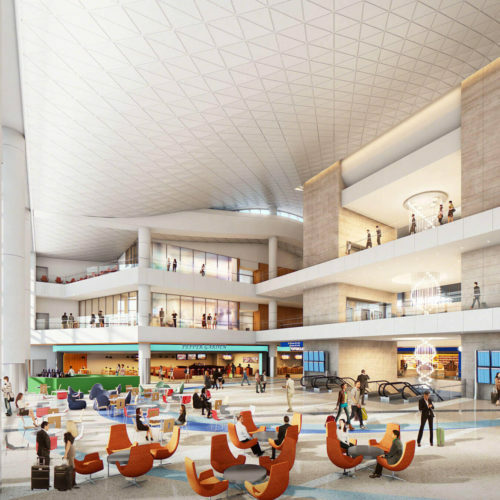 The team was provided a set of bridging documents and a visioning concept of LAWA’s (Los Angeles World Airport) aspirations, and challenged to deliver a project that would set the new standard for the Central Terminal Area within the schedule and budget constraints. 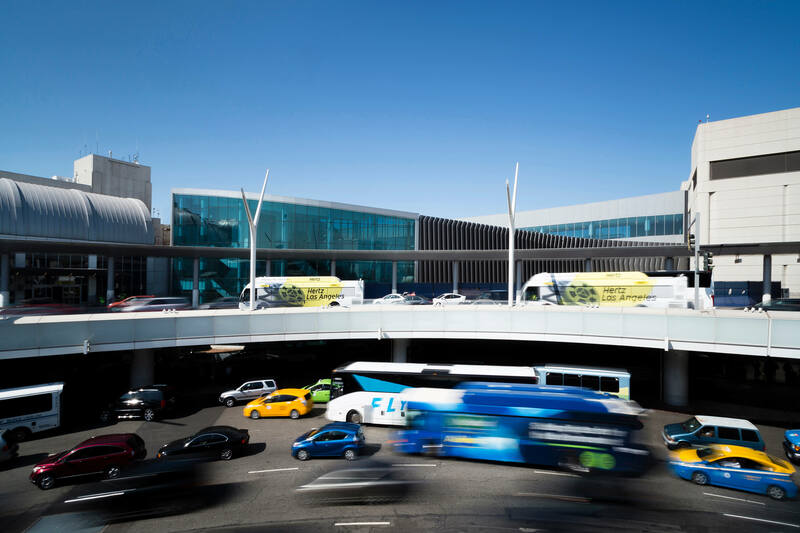 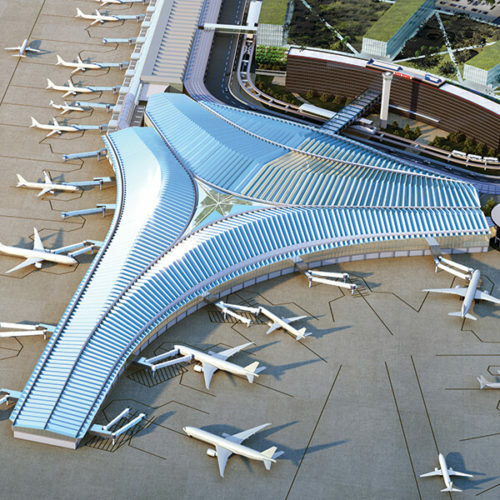 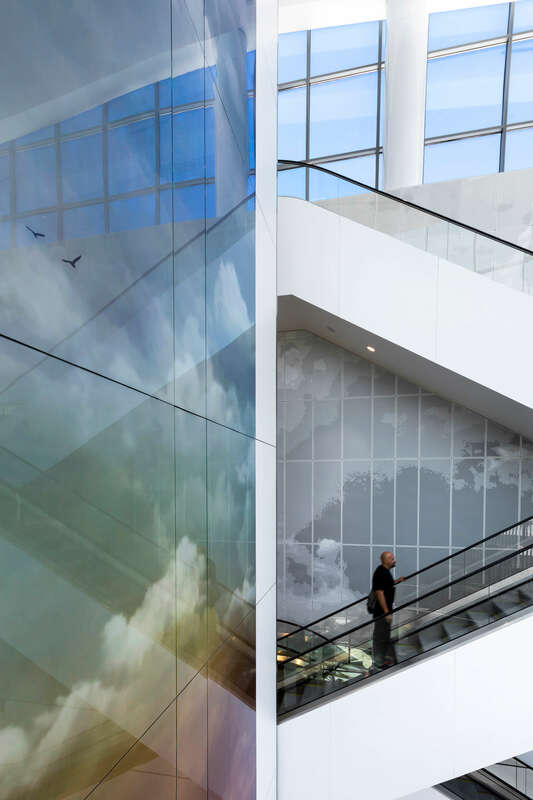 The team responded with the design of a unique form to meet the function of the building while complementing the existing terminal facilities at LAX. 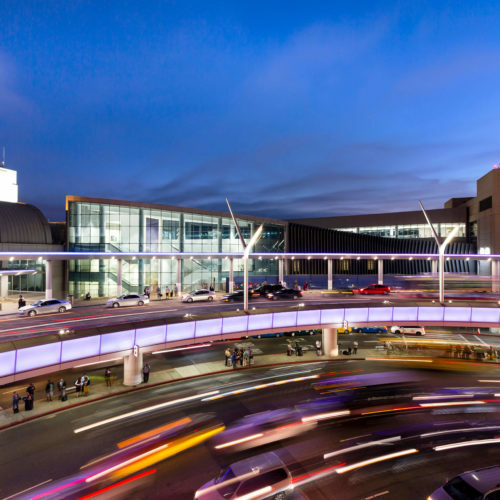 The four-story Bradley West - Terminal 4 Connector was constructed on a constrained, multi-level site between Terminal 4 and the Tom Bradley International Terminal. 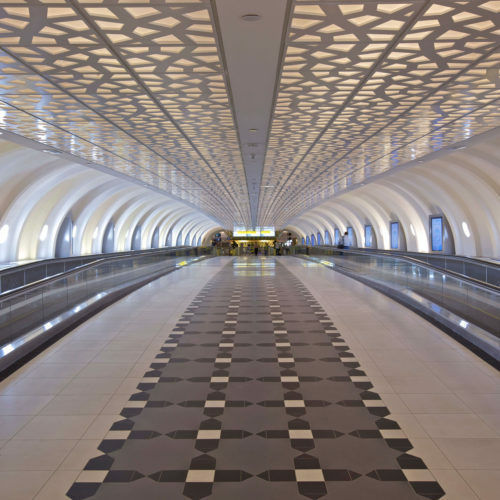 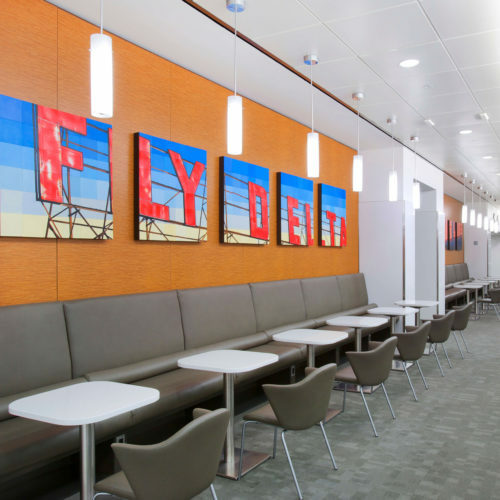 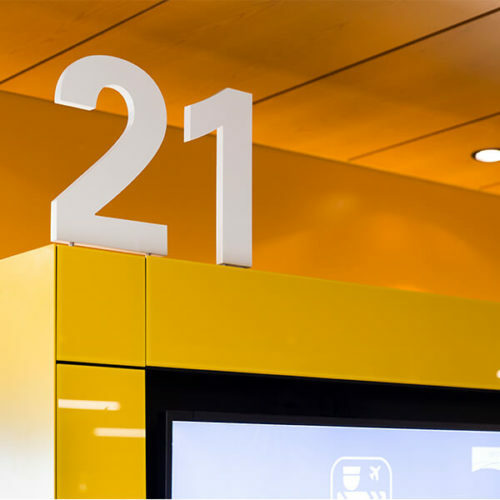 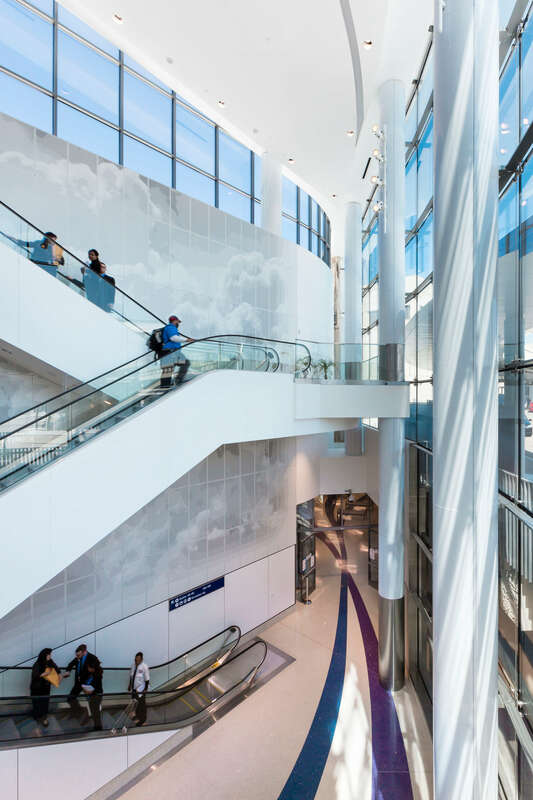 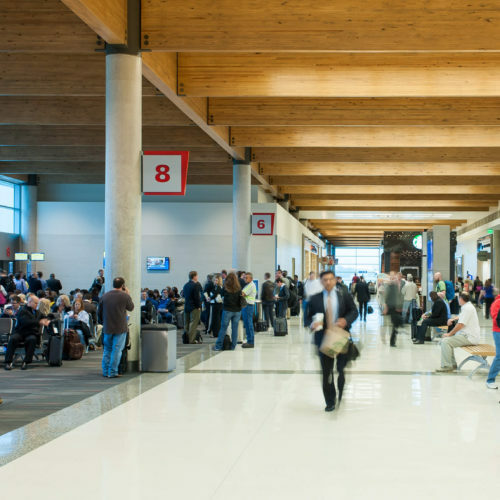 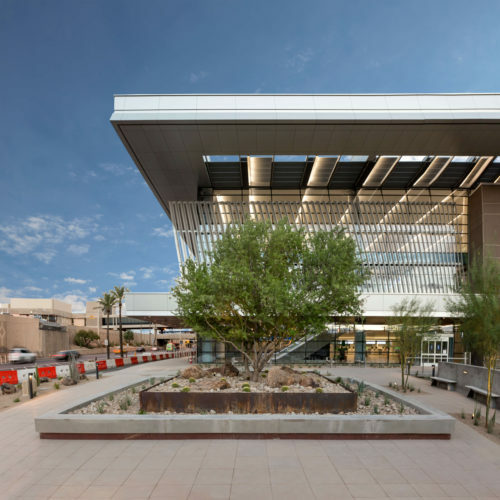 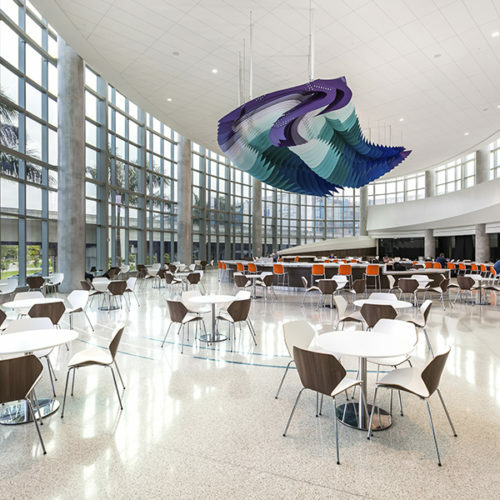 The facility is designed to house a passenger security screening checkpoint, a checked baggage inspection system, vertical circulation atria and a sterile connection between terminals. 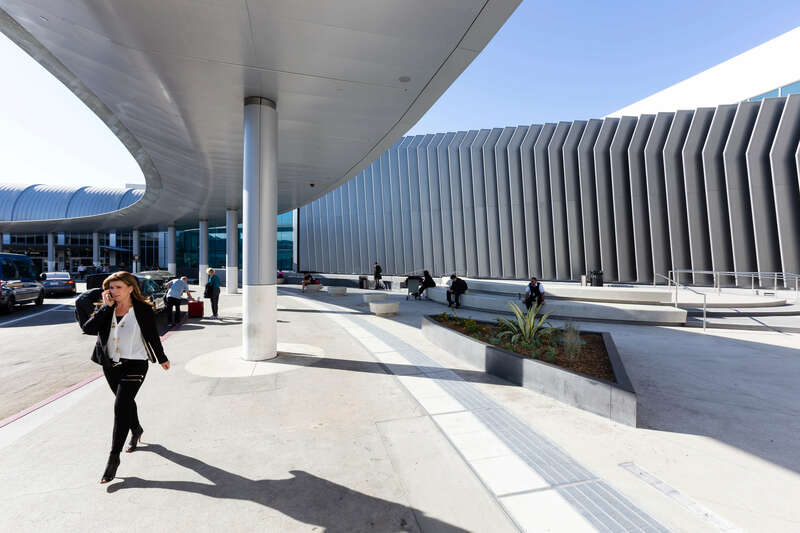 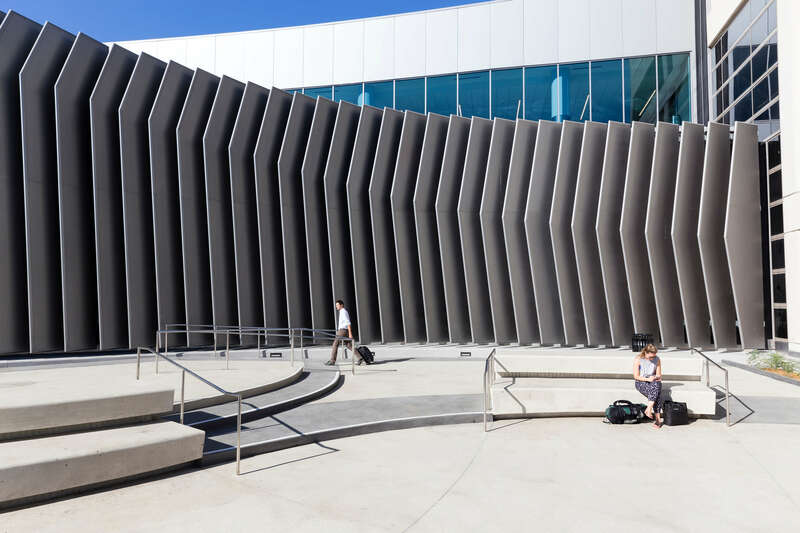 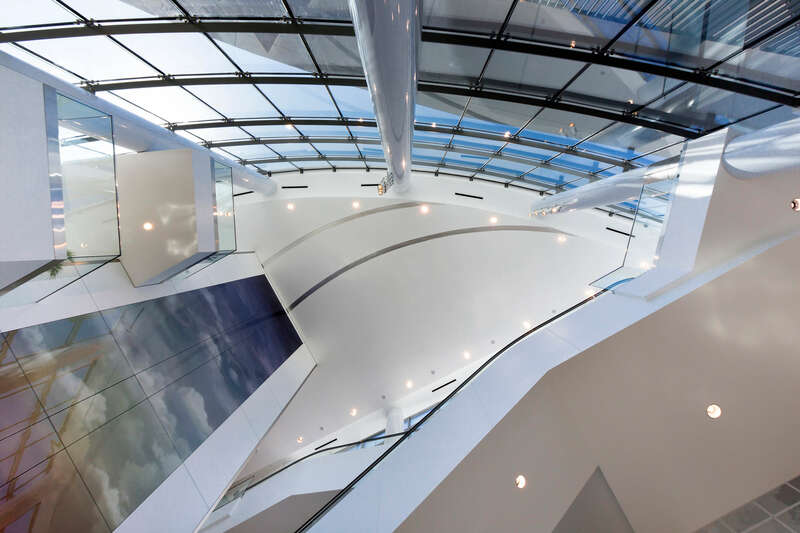 The sweeping curves create a dynamic rhythm of motion and flight, intuitively guiding passengers between domestic and international gates.